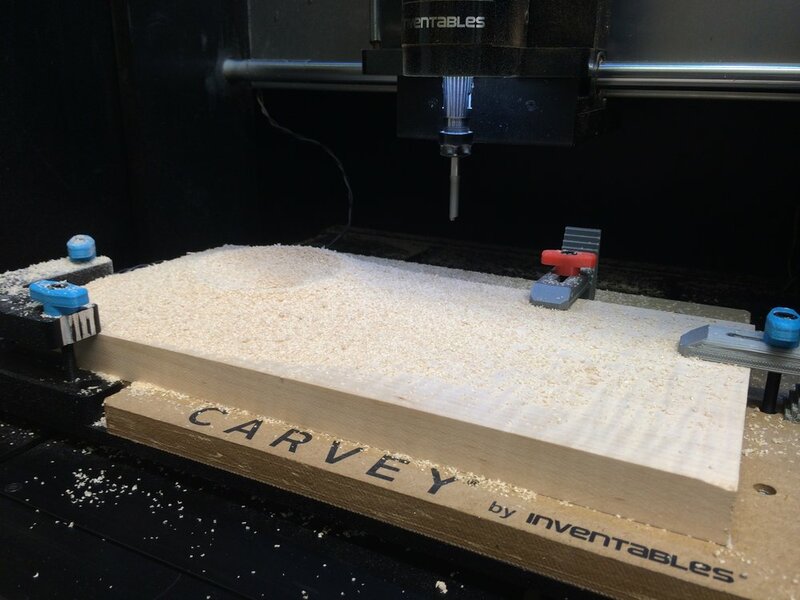 Chicago-based Inventables, Inc. engaged us to design an object made using their new desktop milling machine, Carvey. 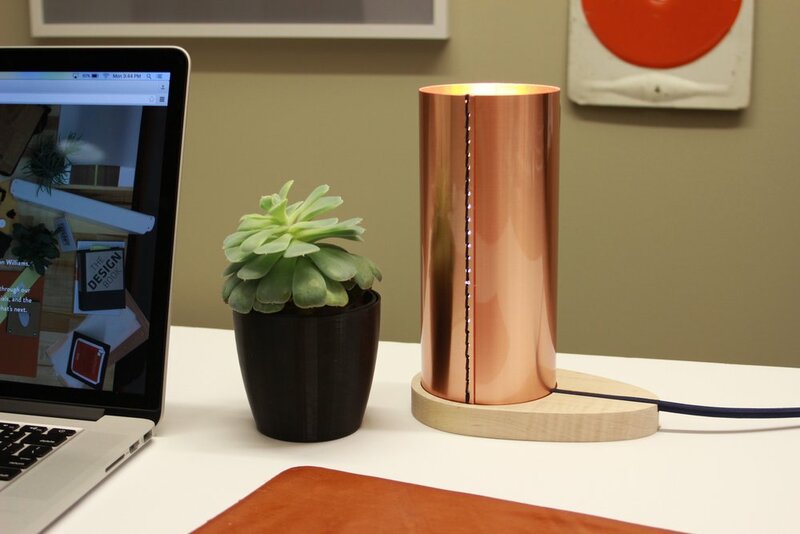 The result was this cylindrical desk lamp, fabricated in copper and flame maple with a navy blue cloth cord and stitching. We created two variations of the same form, one in flame maple and copper, and another in walnut with brushed brass. Light is reflected by the metal and takes on the cast of the material chosen—a warm yellow glow with brass and a pinkish hue with the copper. The colorful cloth cord extends through a channel showcasing the beauty of the wood. Our approach to developing lighting concepts was to let the materials and Carvey be the heroes. We focused on what a mill can do that an average laser cutter can’t, including creating pockets and achieving different profiles with varied end mills, such as using a ball nose mill to create the channel for the cord. We also wanted to feature how effective a mill is at cutting soft sheet metals, such as brass and copper. The cylindrical form shows how Carvey’s relatively small 8x12 inch bed size need not be a limitation. The waxed cotton stitching draws on Brandon's skill as a leather craftsman and his experience as Farwell Co..
Step-by-step instructions for the project along with the files are available for anyone to use (subject to Creative Commons license) to create their own desk lamp in materials of their choice on the Inventables project page. We were also featured on the Inventables Maker Spotlight.